Sometimes getting lost is one of the best ways to truly discover a new place. That being said, it certainly helps to research a couple of basic details about your destination before you head off. Read on for a few basics about Logonna-Daoulas. Logonna-Daoulas can be found 5 miles (8 kilometers) southeast of Plougastel-Daoulas. 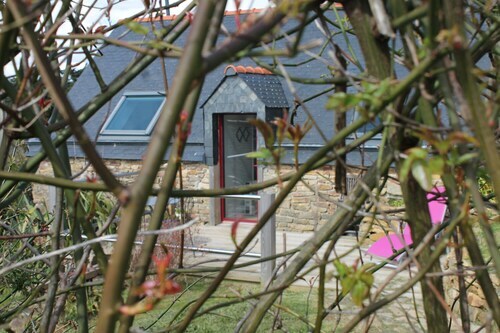 It's also 9 miles (14 kilometers) south of Landerneau. 2,000 locals reside in this corner of Finistere. With Travelocity, you'll get unbelievable savings if you organize an airfare and accommodation bundle. You can also select from more than 400 airline partners and 665,000 places to stay. Looking for a worry-free trip away? Our Customer 1st Guarantee gives you the added comfort of 24/7 personal assistance on all our services. Have you stumbled upon a better deal? We'll meet the price and refund the difference^. All package reservations may be altered with no nasty charges from us. And as long as you get in quick, most accommodations don't charge extra fees either^. The Brit Hotel Iroise is the only listed property within a short commute of Logonna-Daoulas, so we suggest locking in your room well ahead of time. Where do you fly into for Logonna-Daoulas? Plug in your headphones and choose an in-flight movie. In no time, you'll land at Brest - Brittany Airport (BES). It's approximately 10 miles (16 kilometers) from the heart of Logonna-Daoulas. Can I rent a car in Logonna-Daoulas? Secure a rental car via Travelocity for your trip around Logonna-Daoulas. You're sure to discover some unique places while you're on the road. You can pick up your car as soon as you step off the plane at Brest - Brittany Airport. Drop by Sixt and Avis. They're just a short stroll away. You should also check out Europcar and Enterprise. If you're seeking heavenly experiences, why not listen to the advice of Shakespeare's Hamlet and "get thee to a nunnery"? Uncover a more restful and devout existence behind the doors of Daoulas Abbey. Need more options? If you've ever wanted the 'Eat, Pray, Love' experience, why not seek out the 'pray' part at Landevennec Abbey? Pursue your spiritual side and maybe even find yourself! And there's more. Exploring an area's monuments is a superb way to glean an insight into its accomplishments and history. Admire Association des 7 calvaires monumentaux de Bretagne and find out the unique tale behind it. Done all there is to do in Logonna-Daoulas itself? If you have more time on your hands, there is loads more to keep you busy in the surrounding region. You may not know that you're only 20 miles (32 kilometers) from Guengat. It's the perfect base point to reach Cathedral of Saint Corentin of Quimper. This attraction is adored by travelers and locals alike. Situated by the sea, this guesthouse is 0.1 mi (0.1 km) from Armorique Natural Regional Park and 2.5 mi (4.1 km) from Daoulas Abbey. Espace du Sapeur Pompier and Brest Iroise Golf Course are also within 9 mi (15 km). Situated in Logonna-Daoulas, this country house is 0.1 mi (0.1 km) from Armorique Natural Regional Park and 2.6 mi (4.1 km) from Daoulas Abbey. Espace du Sapeur Pompier and Brest Iroise Golf Course are also within 9 mi (15 km). 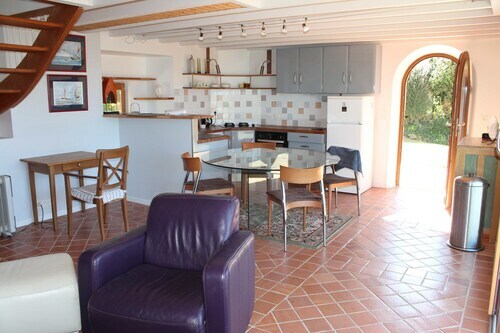 Situated by the ocean, this romantic property is 0.1 mi (0.1 km) from Armorique Natural Regional Park and within 12 mi (20 km) of Daoulas Abbey and Espace du Sapeur Pompier. Brest Iroise Golf Course and Musee de la Fraise et du Patrimoine are also within 12 mi (20 km). 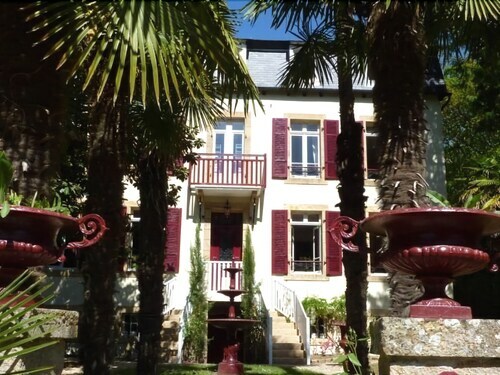 Situated in Logonna-Daoulas, this cottage is within 16 mi (25 km) of Musee de la Fraise et du Patrimoine, Spadium Parc, and Oceanapolis. Brest National Botanical Conservatory and Francis-le Ble Stadium are also within 16 mi (25 km). 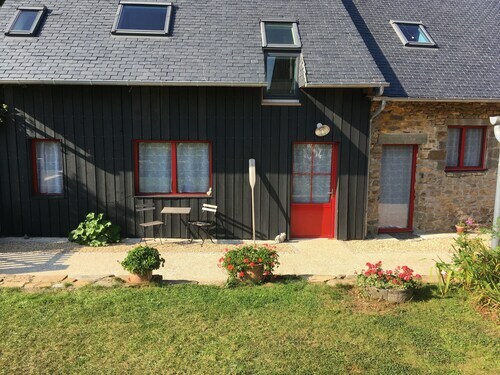 Situated near the beach, this vacation home is 0.1 mi (0.1 km) from Armorique Natural Regional Park and within 12 mi (20 km) of Daoulas Abbey and Espace du Sapeur Pompier. Brest Iroise Golf Course and Musee de la Fraise et du Patrimoine are also within 12 mi (20 km). 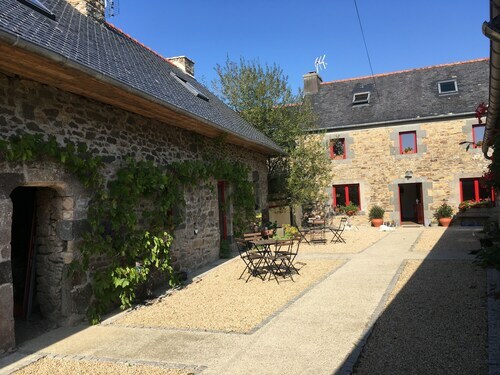 This Logonna-Daoulas bed & breakfast is on the beach, 0.1 mi (0.1 km) from Armorique Natural Regional Park, and within 12 mi (20 km) of Brest Iroise Golf Course and Daoulas Abbey. Espace du Sapeur Pompier and Musee de la Fraise et du Patrimoine are also within 12 mi (20 km). Located in the heart of Brest, this hotel is within 1 mi (2 km) of Le Quartz, Francis-le Ble Stadium, and Clermont-Tonnerre Hospital. Museum of Fine Arts Brest and Brest Castle are also within 2 mi (3 km). Brest Station is 16 minutes by foot. Situated near the beach, this spa hotel is within 1 mi (2 km) of Sables Blancs Beach and Port-Musee. Plage du Ris is 3 mi (4.8 km) away.